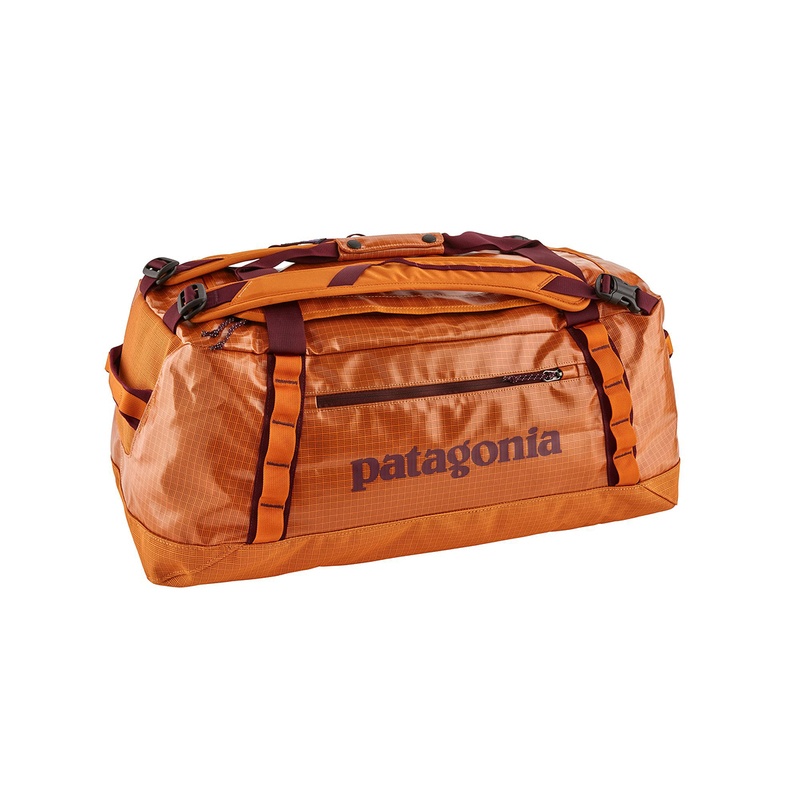 The Patagonia Black Hole Duffel 60L is the preferred travel companion of mountain guides, alpinists and outdoor adventurers worldwide. Ideal for weekends away or stashing your climbing gear in, the Patagonia Black Hole Duffel 60L provides bombproof protection and sensible packing options for all your gear, and can take whatever abuse gets thrown at it. Made from burly Bluesign approved ripstop polyester with a waterproof TPU coating, it can take a beating from bad weather conditions, while the chunky outer daisy chains provide even more external storage options. Internally, the Black Hole Duffel 60L has two mesh pockets in the lid for storing easy access essentials and internal luggage compression straps to you can fit even more stuff in there. An external zip pocket and removable padded shoulder strap complete the ensemble, while the best bit is that the bag has its own stuff sack it can be packed into so you can compact it and pack it away when you don’t need it, genius! Ripstop fabrics are made by weaving a nylon thread in interlocking, square patterns through a base material. (You can spot its distinguishable appearance in fabrics with a raised box or diamond pattern.) As a result, rips and tears, unable to bypass this nylon barrier, are confined to one very small area and will not spread throughout the fabric. ...at least as far as the bag is concerned. It's so spacious you might find yourself packing way more than you need. I was between this and the TNF Base Camp medium. The base camp is slightly larger, but I'm glad I went with this one. The Black Hole fabric is more flexible, but no less durable. The shoulder straps are more comfortable than it's competitors, and I prefer the square bottom vs the rounded bottom when it comes to packing things. The internal organization is a bit better as well: it has two internal compression straps and the zippered lid pocket is split into two small sections for your keys and passport. The shoulder straps are also quickly detached, so you can remove them and not worry about the airlines ripping your straps. I think the base camp might be a tad more water resistant, since the tpu laminate doesn't cover the entire bag. IMO, the best part about this bag is it's the most durable in its class while STILL being able to pack into itself for storage or to keep as a secondary bag.